My godparents have "adopted" me on November 8th 2010. 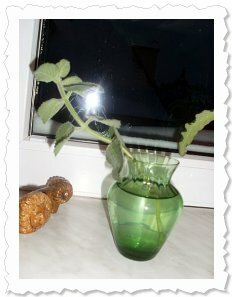 And since then, I am living along with them in the nice town of Dresden (in Germany ). My family tree consists out of 32 offsprings, also counting me. I have already given away 9 of my own offsprings (offsprings 1st degree). 19 offsprings 2nd degree have already been given away. 2 offsprings 3rd degree have already been given away. For my 19th offspring 2nd degree, her godparents have found the nice name Jane of Hansi. This name decorates her beautifully. Jane of Hansi's direct ancestor (ancestor 1st degree) Hansi of Tarang is giving away another offspring. 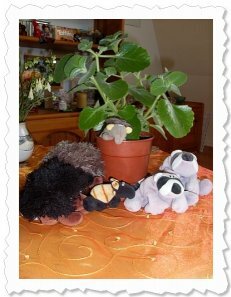 Jane of Hansi has found her new godparents right away, and so she is moving in at their home at (in Germany ) right now. My 18th offspring 2nd degree will be called Hailey of Hansi, the name has been chosen by her godparents. Hailey of Hansi's direct ancestor (ancestor 1st degree) Hansi of Tarang is giving away another offspring. From now on, Hailey of Hansi will be living in the town of Dresden (in Germany ) along with her godparents, and certainly she will enjoy it there very much. My 17th offspring 2nd degree will be called Edira of Hansi, the name has been chosen by her godparents. Edira of Hansi's direct ancestor (ancestor 1st degree) Hansi of Tarang is giving away another offspring. Her new godparents will be taking care of Edira of Hansi from now on, they have already taken my little offspring to her new home at Dresden (in Germany ). My 16th offspring 2nd degree will be called Adisana of Hansi, the name has been chosen by her godparents. Adisana of Hansi's direct ancestor (ancestor 1st degree) Hansi of Tarang is giving away another offspring. Adisana of Hansi has found her new godparents right away, and so she is moving in at their home at (in Germany ) right now. For my 15th offspring 2nd degree, her godparents have found the nice name Gajane of Hansi, which will now accompany the little plant in her life. By the way, Hansi of Tarang is the direct ancestor (ancestor 1st degree) of Gajane of Hansi. From now on, Gajane of Hansi will be living in the town of Dresden (in Germany ) along with her godparents, and certainly she will enjoy it there very much. For my 14th offspring 2nd degree, her godparents have found the nice name Taimy of Hansi. This name decorates her beautifully. By the way, Hansi of Tarang is the direct ancestor (ancestor 1st degree) of Taimy of Hansi. From now on, Taimy of Hansi will be living in the town of (in Germany ) along with her godparents, and certainly she will enjoy it there very much. For my 2nd offspring 3rd degree, her godparents have found the nice name Laverne of Samaire. This name decorates her beautifully. By the way, Samaire of Hansi is the direct ancestor (ancestor 1st degree) of Laverne of Samaire. Her new godparents will be taking care of Laverne of Samaire from now on, they have already taken my little offspring to her new home at Dresden (in Germany ). For my first offspring 3rd degree, her godparents have found the nice name Grace of Ragna. This name decorates her beautifully. By the way, the direct ancestor (ancestor 1st degree) of Grace of Ragna is my offspring Ragna of Hansi. From now on, Grace of Ragna will be living in the town of Berlin (in Germany ) along with her godparents, and certainly she will enjoy it there very much. For my 13th offspring 2nd degree, her godparents have found the nice name Mag of Hansi, which will now accompany the little plant in her life. Mag of Hansi's direct ancestor (ancestor 1st degree) Hansi of Tarang is giving away another offspring. From now on, Mag of Hansi will be living in the town of Dresden (in Germany ) along with her godparents, and certainly she will enjoy it there very much. My 12th offspring 2nd degree will be called Hanni of Hansi, the name has been chosen by her godparents. Hanni of Hansi's direct ancestor (ancestor 1st degree) Hansi of Tarang is giving away another offspring. Hanni of Hansi has found her new godparents right away, and so she is moving in at their home at Dresden (in Germany ) right now. For my 11th offspring 2nd degree, her godparents have found the nice name Hansi-Brigitte of Hansi, which will now accompany the little plant in her life. Hansi-Brigitte of Hansi's direct ancestor (ancestor 1st degree) Hansi of Tarang is giving away another offspring. Hansi-Brigitte of Hansi has found her new godparents right away, and so she is moving in at their home at Dresden (in Germany ) right now. My 10th offspring 2nd degree will be called Jonesa of Hansi, the name has been chosen by her godparents. Jonesa of Hansi's direct ancestor (ancestor 1st degree) Hansi of Tarang is giving away another offspring. From now on, Jonesa of Hansi will be living in the town of Karlsruhe (in Germany ) along with her godparents, and certainly she will enjoy it there very much. For my 9th offspring 2nd degree, her godparents have found the nice name Maire of Hansi. This name decorates her beautifully. Maire of Hansi's direct ancestor (ancestor 1st degree) Hansi of Tarang is giving away another offspring. Maire of Hansi has found her new godparents right away, and so she is moving in at their home at Lenting (in Germany ) right now. For my 8th offspring 2nd degree, her godparents have found the nice name Adele-Luise of Hansi. This name decorates her beautifully. Adele-Luise of Hansi's direct ancestor (ancestor 1st degree) Hansi of Tarang is giving away another offspring. Her new godparents will be taking care of Adele-Luise of Hansi from now on, they have already taken my little offspring to her new home at Grubschütz (in Germany ). For my 7th offspring 2nd degree, her godparents have found the nice name Jacky of Hansi, which will now accompany the little plant in her life. By the way, Hansi of Tarang is the direct ancestor (ancestor 1st degree) of Jacky of Hansi. Her new godparents will be taking care of Jacky of Hansi from now on, they have already taken my little offspring to her new home at Gärtringen (in Germany ). For my 6th offspring 2nd degree, her godparents have found the nice name Samaire of Hansi. This name decorates her beautifully. By the way, the direct ancestor (ancestor 1st degree) of Samaire of Hansi is Hansi of Tarang. Samaire of Hansi has found her new godparents right away, and so she is moving in at their home at Dresden (in Germany ) right now. My 5th offspring 2nd degree will be called Adalena of Hansi, the name has been chosen by her godparents. By the way, Hansi of Tarang is the direct ancestor (ancestor 1st degree) of Adalena of Hansi. Her new godparents will be taking care of Adalena of Hansi from now on, they have already taken my little offspring to her new home at (in Germany ). For my 4th offspring 2nd degree, her godparents have found the nice name Felicy of Hansi. This name decorates her beautifully. Felicy of Hansi's direct ancestor (ancestor 1st degree) Hansi of Tarang is giving away another offspring. Her new godparents will be taking care of Felicy of Hansi from now on, they have already taken my little offspring to her new home at Kloster Lehnin (in Germany ). My 3rd offspring 2nd degree will be called Aayla of Hansi, the name has been chosen by her godparents. By the way, Hansi of Tarang is the direct ancestor (ancestor 1st degree) of Aayla of Hansi. From now on, Aayla of Hansi will be living in the town of (in Germany ) along with her godparents, and certainly she will enjoy it there very much. For my 2nd offspring 2nd degree, her godparents have found the nice name Elana of Hansi. This name decorates her beautifully. By the way, the direct ancestor (ancestor 1st degree) of Elana of Hansi is Hansi of Tarang. Her new godparents will be taking care of Elana of Hansi from now on, they have already taken my little offspring to her new home at Schlungwitz (in Germany ). To my 9th offspring, my godparents and I have decided to give the nice name of Francesca of Tarang, which will now accompany my little cutting in her life. From now on, Francesca of Tarang will be living in the town of Dresden (in Germany ), and certainly she will enjoy it there very much. For my first offspring 2nd degree, her godparents have found the nice name Ragna of Hansi, which will now accompany the little plant in her life. By the way, my offspring Hansi of Tarang is the direct ancestor (ancestor 1st degree) of Ragna of Hansi. Ragna of Hansi has found her new godparents right away, and so she is moving in at their home at Kloster Lehnin (in Germany ) right now. My 8th offspring has been named Donna of Tarang. This nice name has been chosen by my godparents and me. My little cutting Donna of Tarang has found her new godparents right away, and so she is moving in at their home at Dresden (in Germany ) right now. My 7th offspring has been named Ilaya of Tarang. This nice name has been chosen by my godparents and me. My little cutting Ilaya of Tarang has found her new godparents right away, and so she is moving in at their home at (in Germany ) right now. To my 6th offspring, my godparents and I have decided to give the nice name of Gresilda of Tarang, which will now accompany my little cutting in her life. From now on, Gresilda of Tarang will be living in the town of Dresden (in Germany ), and certainly she will enjoy it there very much. 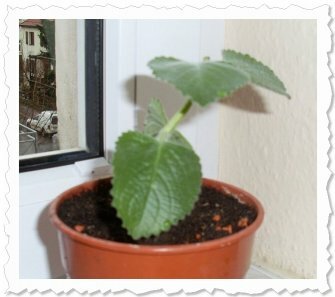 My godparents and I have chosen the name Sandina of Tarang for my 5th little plant. From now on, Sandina of Tarang will be living in the town of Dresden (in Germany ), and certainly she will enjoy it there very much. To my 4th offspring, my godparents and I have decided to give the nice name of Salomea of Tarang, which will now accompany my little cutting in her life. From now on, Salomea of Tarang will be living in the town of Dresden (in Germany ), and certainly she will enjoy it there very much. My 4th picture has been put online by my godparents, today. Tarang am 7. April ’11: Bin etwas gerupft, hab aber schon 3 Ablegerchen auf die Reise geschickt. Jetzt brauch ich Ruhe. 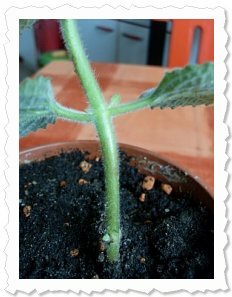 My godparents and I have chosen the name Hansi of Tarang for my 3rd little plant. From now on, Hansi of Tarang will be living in the town of Dresden (in Germany ), and certainly she will enjoy it there very much. To my 2nd offspring, my godparents and I have decided to give the nice name of Daja of Tarang, which will now accompany my little cutting in her life. Her new godparents will be taking care of Daja of Tarang from now on, they have already taken my little offspring to her new home at Berthelsdorf (in Germany ). My first offspring has been named Adula of Tarang. This nice name has been chosen by my godparents and me. My little cutting Adula of Tarang has found her new godparents right away, and so she is moving in at their home at Dresden (in Germany ) right now. Tarang am 18. Januar ’07 in Dresden. Vier Tage nach dem Eintopfen zeigt sich in den Blattachseln der neue Austrieb. My 2nd picture has been put online by my godparents, today. Tarang am 14. Januar ’07 in Dresden. Heute ist ein günstiger Tag für´s Eintopfen. Tarang hat ausreichend Wurzeln. Der kleine Trieb ist am 30. November angekommen. Am 16. Dezember habe ich die ersten weißen Wurzelspitzen entdeckt. What a wonderful day! November 8th 2010 will always remain a very special date to me, my godparents have "adopted" me today. Add languages, where Tarang is common.